How Does the Implant for Drug Addiction Work? AddictionHow Does the Implant for Drug Addiction Work? Have you heard of the implant for drug addiction? It’s a new way to help people get clean. Many people who struggle with drug addiction – and especially opiate addiction – want to know how the implant for drug addiction works. You may have heard talk of this implant for drug addiction, but what is it exactly? Below, we’ll discuss what the implant for drug addiction is and how it might be able to help you get sober from drugs. 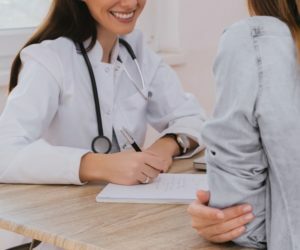 What Is the Implant for Opiate Addiction (Opiate Blocker Pill)? The implant for opiate addiction or opiate blocker pill is something called Naltrexone. Naltrexone is an FDA-approved drug, and it takes away the euphoria and happy feelings that are associated with taking opiates. The drug and implant can also be used with those who are struggling with alcoholism. In turn, because the drug reduces your high, this does not reinforce taking opiates or drinking alcohol in order to feel good. Furthermore, it can help reduce physical and mental cravings for opiates and alcohol because if and when you would use these substances, you wouldn’t get the same high that you used to get. Withdrawal symptoms may occur, however. The implant is put just under the skin in an outpatient procedure. You must get a professional to put the implant in. The implant looks like four small rods that are each similar to a small version of a matchstick. Once it is implanted beneath the skin, the naltrexone will be released into the bloodstream within a few hours. From thereon, it is released into your bloodstream every few hours so that it stays in your system. Essentially what the drug is doing is blocking neurotransmitters that would otherwise release positive hormones into your brain when you take opiates or drink alcohol. Do You Still Need Rehab Along With the Implant? One of the most commonly asked questions associated with the implant for drug addiction is whether or not the individual who gets the implant still needs to attend professional rehab. The answer is yes; anyone struggling with serious drug or alcohol abuse still needs to attend professional treatment to help with their addiction problem. This implant is used as a device to help the individual reduce their cravings. Some health care professionals believe that the implant could help individuals struggling with alcohol and drug abuse for life. In other words, they would keep the implant in for the duration of their lives to avoid drug and alcohol abuse. On the other hand, some believe that it is simply a tool to be used in conjunction with professional treatment. Either way, because addiction is a disease that is closely related to emotions, feelings, and psychological issues, it is essential to go through professional therapy and counseling in order to achieve lasting sobriety. If you are interested in getting this implant for drug addiction, White Sands Treatment can help you understand. We can offer a program that is catered to you for drug abuse and alcohol abuse rehabilitation.